Linda Joyce Olive Horton, 72, of Apex, died Monday, October 16, 2017 at WakeMed Cary Hospital. Linda was born in Lee County, NC to Robert and Elizabeth Harris Olive. She was a graduate of Apex High School and was employed as a loan officer with Suntrust Bank for over 42 years. Linda was a member of Apex Baptist Church. She was preceded in death by her father, Robert Olive. 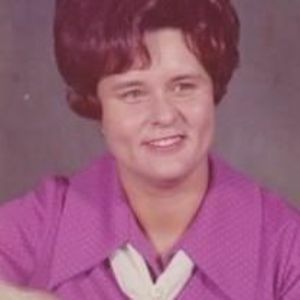 Linda is survived by her husband of 53 years, Rufus R. Horton, Jr.; mother, Elizabeth Harris Olive; sons, Scot Horton and wife, Heather and Bret Horton and wife, Kelly; grandchildren, Nevan Horton, Wyatt Horton and Haley Cumm; brothers, Bobby and Terry Olive; sisters, Carolyn Thompson, Betsy Olive and Janice Nobles. A funeral service will be held 1 PM Friday, October 20, 2017 at Apex Baptist Church, 110 S. Salem Street, Apex, NC 27502. Burial will follow the service at Apex Cemetery. The family will receive friends 12-1 PM at the church prior to the service. Memorials may be made to American Diabetes Association, 2451 Crystal Drive, Suite 900, Arlington, VA 22202.